Could Turkey’s Economic Fairy Tale come back after a referendum? On Sunday, 16 April 2017, a constitutional referendum consisting of 18 proposed amendments to the current constitutional act of Turkey, will be held throughout the country and overseas representations. 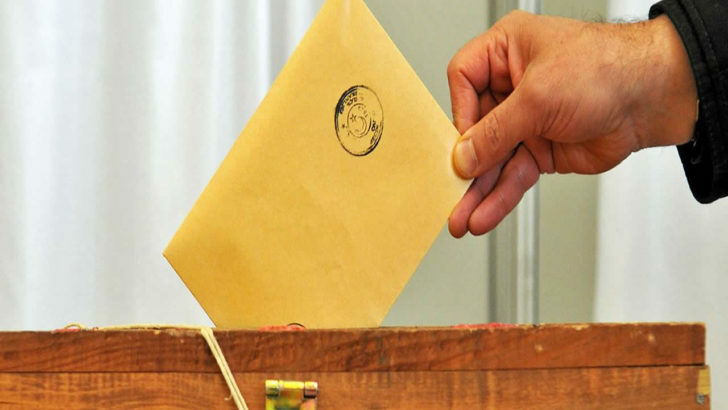 The amendments include the alteration of present parliamentary government administration system to presidential system which will introduce an executive presidency in case of Yes votes surpass No votes with an absolute majority. Moreover, new constitutional readjustments suggest annihilation of the Office of Prime Minister, increasing the number of seats in parliament from 550 to 600 and changes in the way of assigning the members of Supreme Board of Judges and Prosecutors. 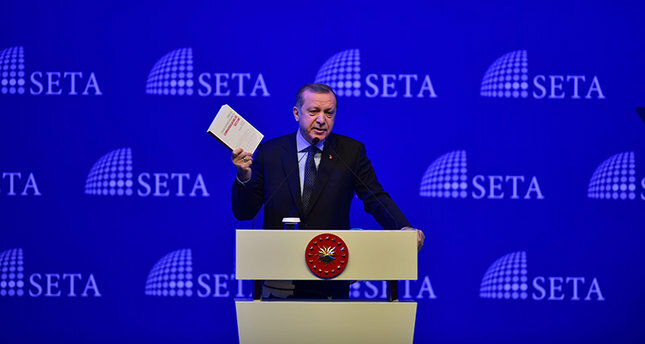 After election of Turkish president Erdogan in 2014, intention of ruling Justice and Development Party (AKP) to propose a constitutional reform accelerated also with the support of once opposing Nationalist Movement Party (MHP) this time being in favor of constitutional bill. On the other side, followers of the main opposition Republican People’s Party (CHP) which is founded by country’s founding father Atatürk and supporters of his ideology take a dim view of constitutional modification proposal putting forward that it would significantly harm the principle of separation of powers and would centralize it in one man’s hand. Opinion polling for the Turkish referendum conducted by pro-opposition party polling organizations revel that No votes outnumber the Yes votes ranging from 2-10%. Per contra, pro-government pollsters demonstrate that Yes votes override No votes significantly as much as 20%, according to some research institutions. While the outcome of the referendum is excessively unpredictable with different polling organizations foresee considerably varied results, the prospects of Turkey’s economic development concerned with high political risk factors become doubtful. 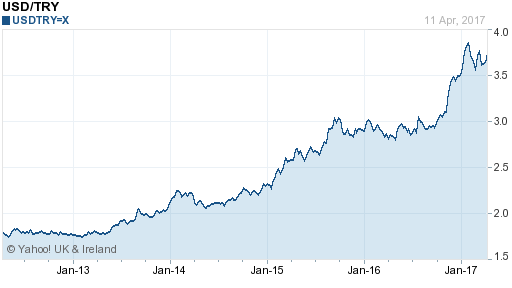 Turkey, from Steady Economic Growth, Sinking Into the Besetment of Crisis. After taking the government over in 2002, the present ruling party AKP succeeded to attain a sustainable higher economic growth until 2013 by expanding gross domestic production (GDP) as much as 3 times. The major booster of that remarkable economic transformation was the inflow of foreign funds and loans accounted approximately to an average of $40 billion per year obtained by privatization and liberalization drive. As a consequence of that capital inflow, the quality of services in healthcare, education, transportation and social assistance upgraded significantly which impressed the masses and strengthened the voter base of AKP. However, since mid-2013, with the accumulation of increasing economic and political risks growth rates plunged relatively to pre-2013 levels as foreign capital commenced to withdrawn from the economy. Within this direction, the era of cheap dollar died down and the value of country’s national currency, Turkish Lira- the worst exhibiting one among emerging markets economies, proved to fade away, trading now twofold higher than the pre-crisis levels. In last 3 years, all major macroeconomic indicators including unemployment and inflation rate, public and private sector indebtedness and growth rates displayed poor performance. Credit rating agencies Standard&Poor’s and Moody’s reduced country’s sovereign credit rating to non-investment grade. Rising tensions in the Middle East, public backlash against ascending oppressive behaviors of the regime coupled with structural problems in the economy upset the good old days of the growth story. For the first time in 7 years with also the influence of July 2016 failed coup attempt, the economy shrank in the third quarter of last year. The dramatic appreciation of the greenback obliged Central Bank of Turkey to adopt radical course of actions in order to rescue country’s 31% depreciated currency in last 52 weeks. To prevent the unbalanced volatility in the exchange rate government, by implication, raised the bank’s borrowing rate to choke their dollar purchases back and therefore maintain relatively more liquid foreign exchange reserves. Apart from this particular measure, the central bank also suspended its overnight foreign exchange funding services. Over against these hedges, Turkish Lira receded to 3.6 per dollar levels from its record braking historical high level of 3.87. However, with the stimulus of most recent developments in the Middle East and approaching referendum date, fluctuations in the exchange rate picked upward speed, questioning the endurance and efficiency of the central bank’s precautions. According to economists who analyzed different referendum scenarios a possible Yes vote would relief the markets and exchange rates in the assumptions that political risk arising from voting moderates and government shows an interest in normalization and gets back to pending issues to be solved within business and economy. However, the effect of the relaxation in political environment and its positive advantage into the markets could be limited as in the long-run, if not resolved, deterioration of structural problems in the economy could damage the prospects of the development. 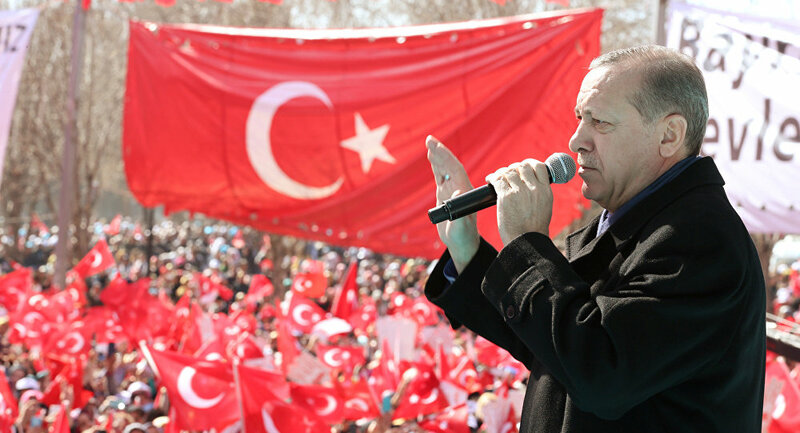 Talking about a possible No vote, chance of downward trend in markets could be inevitable as markets would expect that Turkish president would push for early parliamentary elections resulting for a new political uncertainty on the horizon. A referendum which could be an end for Turkey’s a century-long parliamentary democracy tradition is also considered as a potential turning point for an economic recovery. While pro-government leaders assert that economic activity would return back to pre-crisis progress levels after a potential Yes vote, some economists forecast that distress in the economy would continue in the presence of high political risks. But for sure, it is essential to keep up with reforms, accelerate normalization attempts and soothe the high tension in political environment so as to recapture previous high growth rates. When trading abroad, currency volatility should be an important consideration for your business to mitigate external risk, especially around the time of the Turkish referendum. We have a team of business currency experts that you can talk to, or, alternatively we have put together some extensive guides on currency options, forwards and risk management for those trading in different currencies.